For most cultures, people's conception of the stars and planets placed Earth at the centre of the universe. 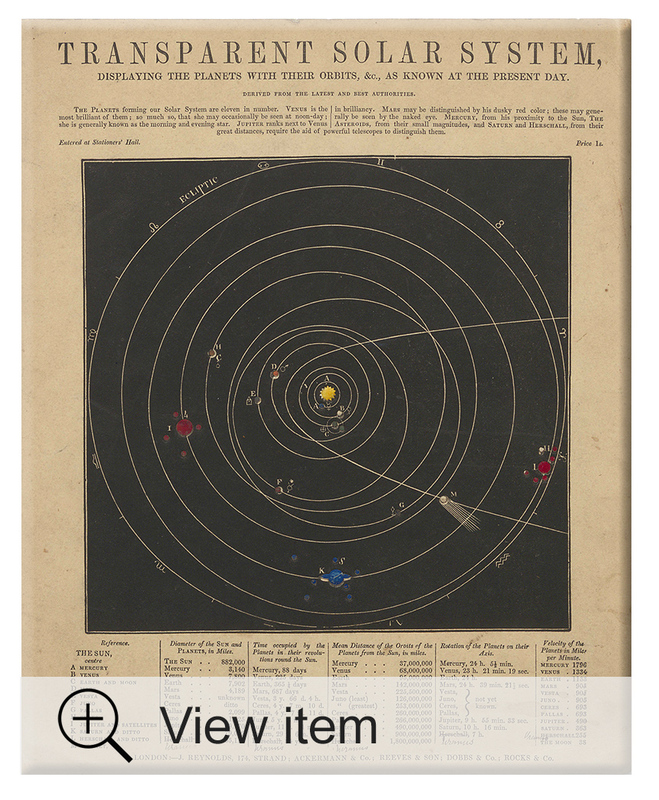 In this geocentric model, the various planets observable to the naked eye, along with the sun, were perfect spheres circling around the earth. The most prevalent understanding in the West was articulated by Aristotle and Plato. As the ultimate classical authorities, their theoretical approaches continued to influence how the West understood the universe through Ptolemy, the Middle Ages, up until the 16th century. 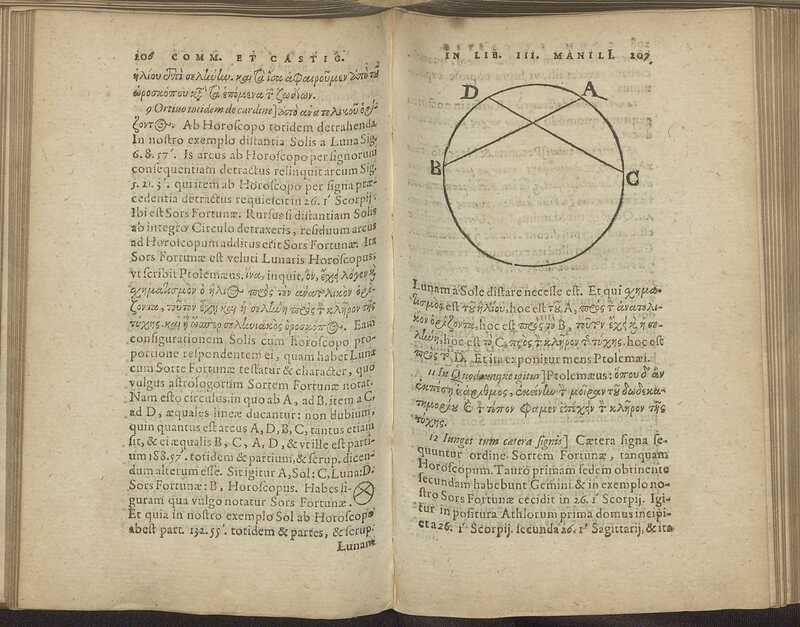 Better observations and calculations lead to a questioning of geocentrism, allowing Copernicus to publish the first account of a heliocentric model in 1543. The heliocentric approach faced resistance because it contravened religious and astrological beliefs that had been developed in tandem with the geocentric model. In 1609 Galileo was able to provide empirical evidence using observations made through his telescope, but it was not until 150 years later that Isaac Newton provided the mathematical model and laws of motion that fleshed out the theory. From the 18th century onwards, the fields of cosmology and physics endeavoured to prove and refine Newton’s hypotheses. The Astronomica, as it is more generally referred to, was written in 10-20 CE. It is a hexameter poem in five parts that explains celestial phenomena, in particular the astrological systems and the movements of the stars around the earth. It is closely related to the ideas of Pythagoras. Despite the few references to it in classical writings, it survived in numerous manuscript forms. Renewed interest in its unique treatment of scientific and mathematical debate came with its revival through Poggio Bracciolini’s copy in 1416/7. Ptolemy was writing in the second century CE. His Tetrabiblos, four books setting out the system of astrology, was the companion volume to his Almagest. Influential in the Greek world, the Tretrabiblios was first translated into Arabic in the 8th century and became the centerpiece of the Islamic world's understanding of the stars. ‘Rediscovered’ by the West in the late 12th century, the Tetrabiblios was translated into Latin and its study entered the curriculum of the Universities of Paris, Oxford and Bologna. Ptolemy argued that astronomy should divest itself of non-plausible astrological elements and his removal of these ‘superstitious’ elements made the study of nature more acceptable in the Middle Ages. Ptolemy’s astrological system formed an integral part of the theology of Albert the Great and Saint Thomas Aquinas, and therefore the Church. The Tetrabiblios went on to form the basis of Renaissance astronomy. Leone Allaci (1586-1669), a Greek theologian and physician who was a librarian at the Vatican Library, reinforced Ptolemy’s influence in the 17th century. Allaci was a polymath who was as interested in theological debate as he was in the natural world — he wrote the first methodological discussion on the existence vampires. For the Tretrabiblios, Allaci provided a new, dual Greek-Latin translation from Proclus’s (410-485) paraphrasing of Ptolemy’s text. 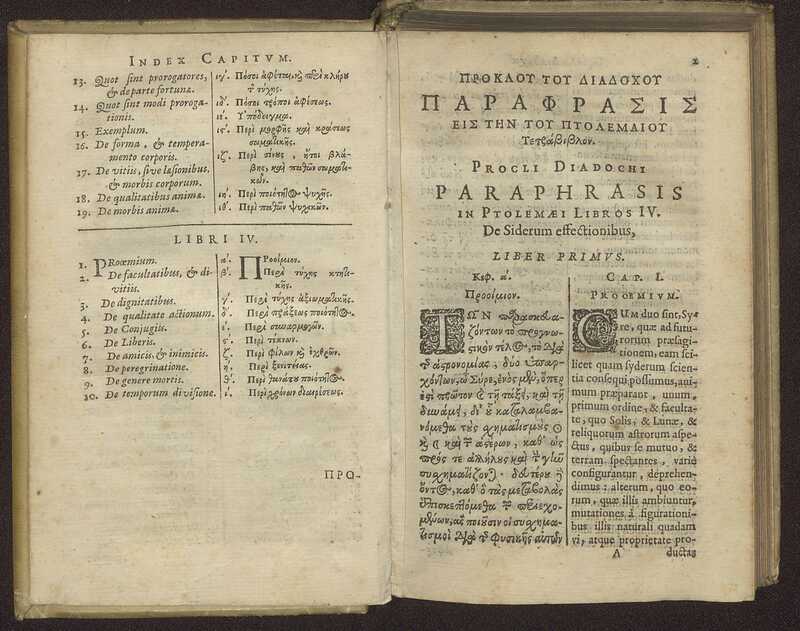 As you can see here, the text is set out in Greek with Latin translations in parallel columns. It is an Elzeviere publication, printed in a compact size for portability by scholars. Fontenelle was a wide-ranging intellect that held many of the Enlightenment ideas in embryonic form. At first he made a name for himself with his operatic librettos, but gravitated to philosophy and introduced many readers to modern philosophical thinking. His Pluralité des Mondes, first published in 1686, is a set of dialogues that served to introduce the ideas of Copernicus to a wide readership. A year after this work appeared, Isaac Newton refuted some of the theories in his Principia. Huygens’ contribution to science was enormous. He was a major figure in the scientific revolution as a physicist, mathematician, astronomer, and inventor: he studied the rings of Saturn and discovered Titan, one of Saturn’s moons; he was responsible for improvements to the telescope, the invention of the pendulum clock, and advancements in probability theory. Cosmotheoros was written toward the end of his life and is more speculative than his earlier work. In it he surmises that life on other planets is possible, but that all life needs water, although water may differ from planet to planet to accommodate for the differences in temperatures. Much of his work was built upon by Newton. Even before Newton published his Principia in 1687, the perception of a developing conflict between religion and science was problematic for many people. Finleyson’s God’s Creation represents many of the published arguments arguing for the existence of a Biblical cosmology. His beliefs were closely aligned with the British Israelite Richard Brothers (1757-1824). 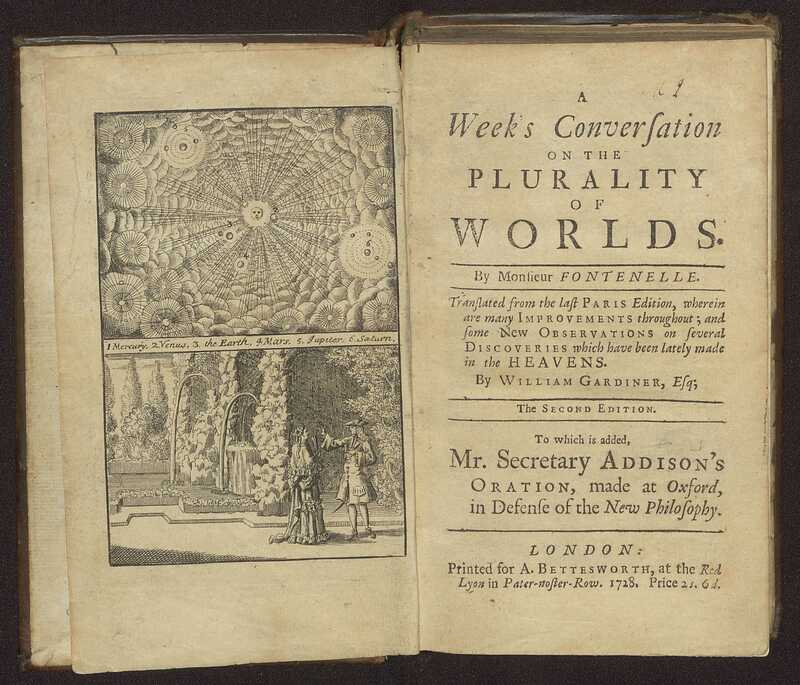 Even so, Finleyson puts forth some peculiar astrological notions such as the planets exist partly just to amuse those on earth and that stars are masses of frozen water. Mechanism was Somerville’s first published book. 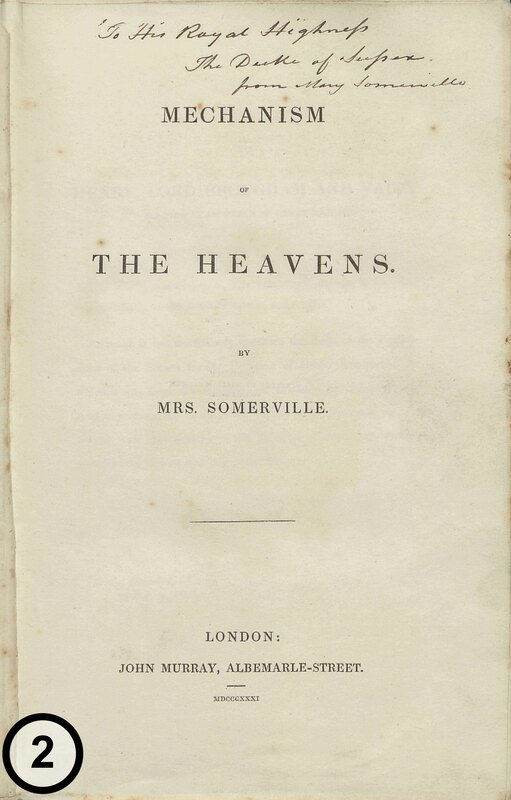 The maths tutor to Ada Lovelace, Somerville was a brilliant mathematician, mostly self-taught. Her real talent was as a polymath which gave her the ability to make connections between mathematics, physics, botany, chemistry, and astronomy, and synthesize the information together. Her Physical Geography (1848) was a standard textbook in the 19th century, and remained with the publisher, Murray, throughout her career. 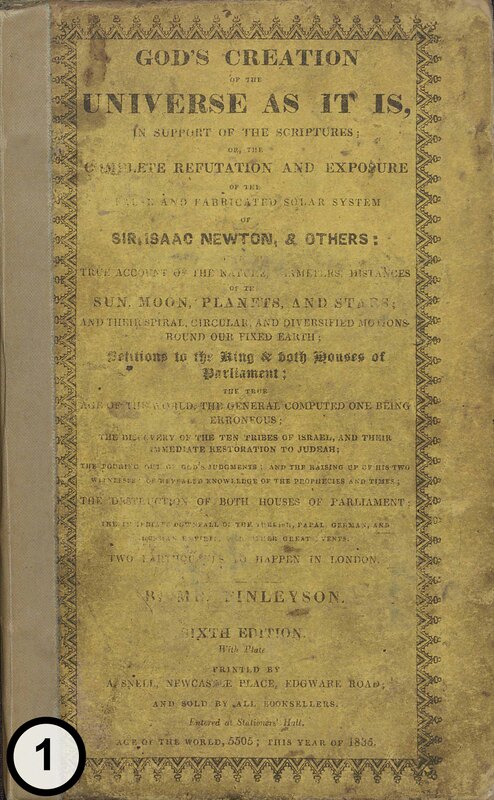 This copy of Mechanism of the Heavens is a signed presentation copy from Somerville to the Duke of Sussex, and contains the Duke's bookplate. Certain astronomical events, like eclipses and comets, offer scientists opportunities to further our knowledge of space. 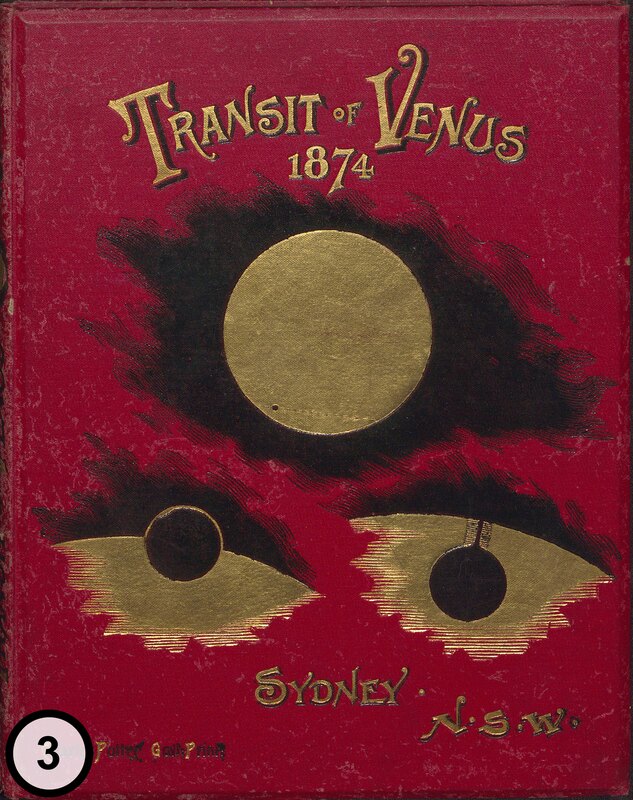 The transit of Venus was not described until 1761 and 1769, although the exact details were still shrouded in mystery. In 1874 global expeditions were made to resolve the question of its transit. Although Australia was not a site for the official expeditions, there were several observations made in NSW, Victoria, and Tasmania, including privately funded American efforts. This pictorial cloth is unusual for a government publication, which indicates the importance of the event and Australia’s participation in it.